Grace & Oliver is a brand born not only from a passion of the finest designer outerwear, but also from the frustration of being unable to find exceptional quality for the right price. 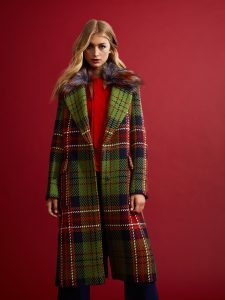 They couldn’t find the beautifully and thoughtfully designed coats that they wanted to see on the market, so they decided to start making their own. 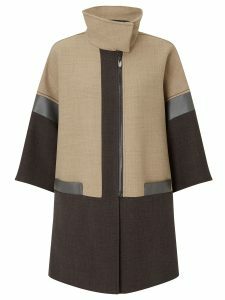 At Grace & Oliver they currently have four full time and three freelance designers working on luxury coats. With experience ranging from recent graduates to 30 years in the industry, their designers form an unstoppable creative team brimming with stunning outerwear ideas and concepts. The designers have their fingers on the pulse of the fashion industry. Utilising gorgeous key fabrics, the creative minds at Grace & Oliver are constantly working on new and stimulating designs that will be adored and worn for generations. The materials are mostly sourced from Prato in Italy where they only work with the top end mills and suppliers. They produce their own unique samples using their pattern cutters and sample rooms that are buzzing with artistic energy. They then work closely with two of the best factories in Europe in order to ensure their coats are manufactured to perfection. Grace & Oliver believe that an exquisite coat is an investment, not a fashion accessory. This is exactly why they create coats featuring fine tailoring and unique fabrics and styles. 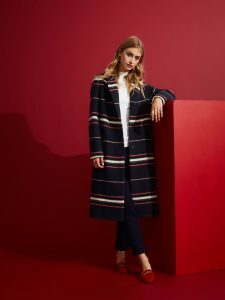 They want customers to be able express their individuality in their coats, rather than having to settle for generic and low quality high street trends. Their vision is for every coat to be a delightful consumer experience and every wear to bring a new and exciting adventure.